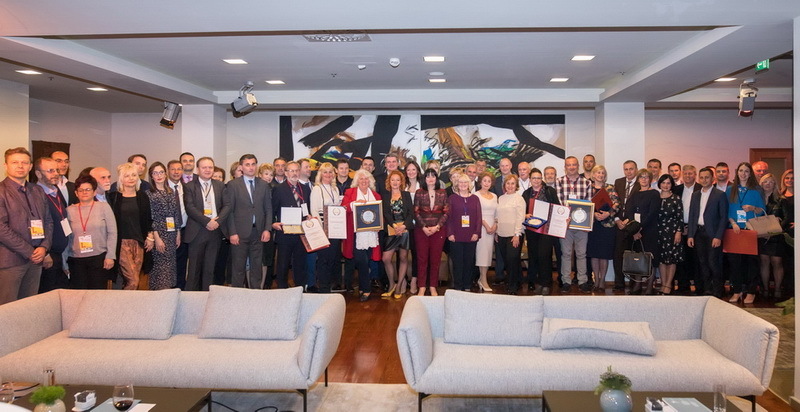 ELKOLEKT is the recipient of a prize and recognition for contribution to the development of entrepreneurship in the middle and southeastern Europe "Creators of the century ". OAll citizens who care about the environment and want to get rid of their e-waste can do it in Vero Markets in the vicinity of their homes where our metal bins are placed for this type of waste. Completed cycle of the prize game "I love my municipality" for 2018. 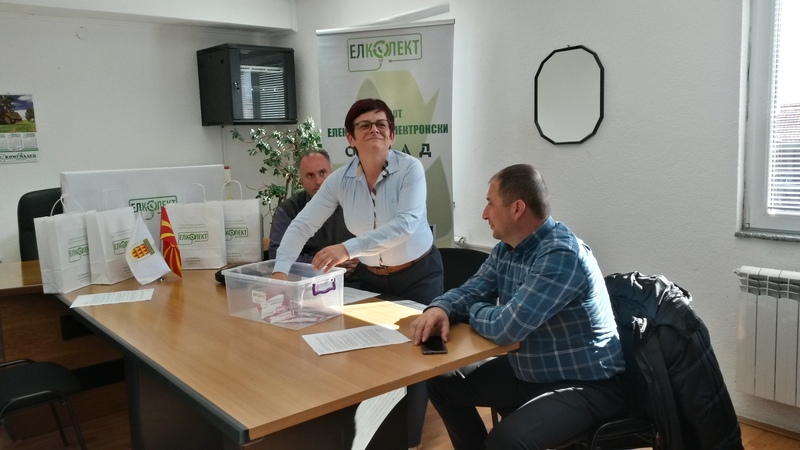 On November 30 this year, the final fourth cycle of the action for collection of electrical and electronic waste was successfully completed, followed by a reward game titled "I LOVE MY MUNICIPALITY". 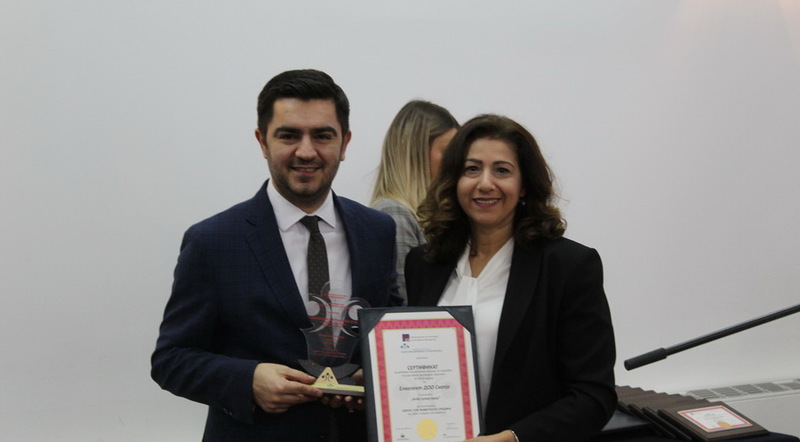 This year, the National Coordinative Body for Corporate Social Responsibility and the Ministry of Economy announced a competition for awarding the National Award for best socially responsible practices of Macedonian enterprises in 2018, realized in the period from 01.06.2017 to 01.06.2018. 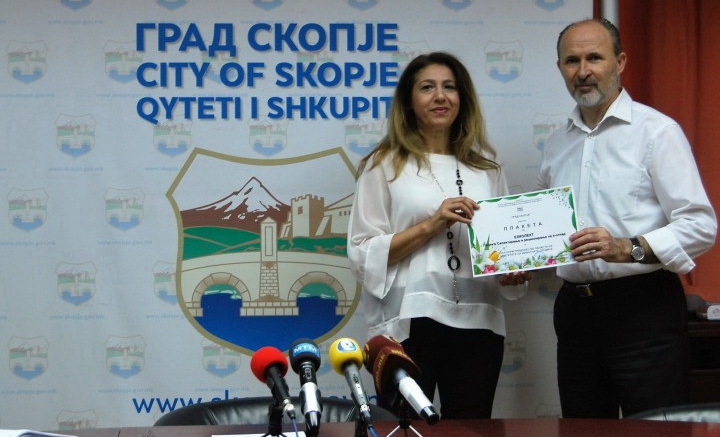 Third cycle of the prize winning game "I LOVE MY MUNICIPALITY"
On October 31, the third cycle of the prize winning game titled "I LOVE MY MUNICIPALITY" was successfully completed, which in the previous two months took place on the territories of the Municipalities Makedonski Brod, Struga and Debar. 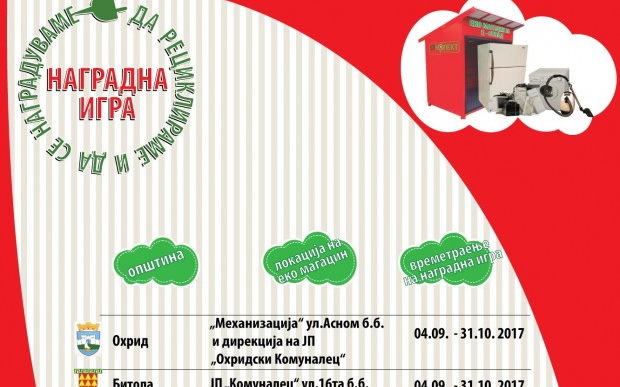 "Recycle, create and save with Elkolekt and Sparkasse Bank"
On October 13, Elkolekt and Sparkasse Bank awarded the 13 most successful works from the joint project "Recycle, create and save with Elkolekt and Sparkasse Bank" in the premises of the Museum of Macedonia. 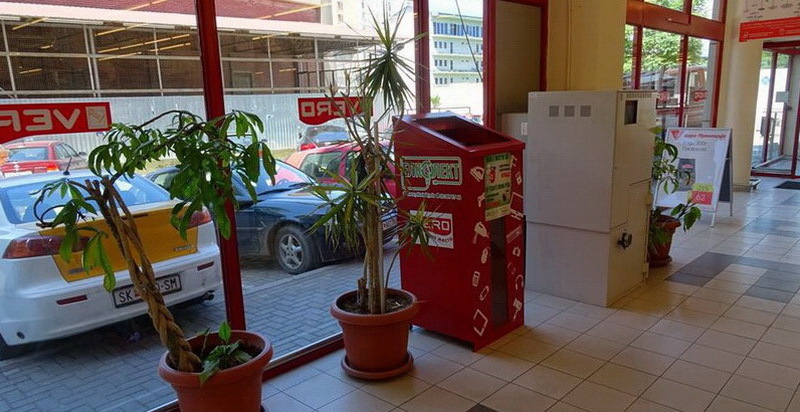 PRIZE GAME - IV Cycle 2018 "I LOVE MY MUNICIPALITY"
ELKOLEKT in cooperation with Sparkasse Bank is celebrating the International E-Waste Day, October 13th and October as a month of austerity through the realization of the project "Recycle, create and save with ELKOLEKT and Sparkasse Bank". 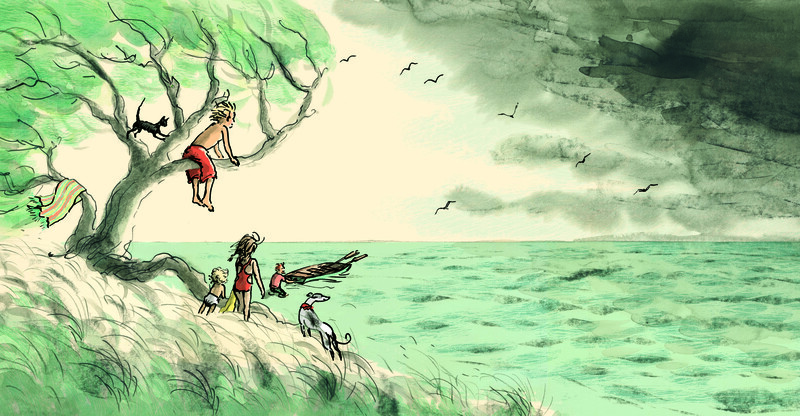 From 03rd of September until October 30, 2018, the third cycle of our award-winning game titled "I LOVE MY MUNICIPALITY" will be organized. 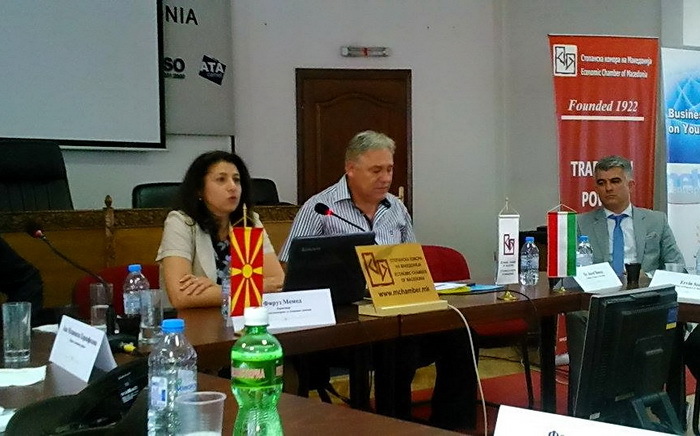 This time we will cover the following three Municipalities: Makedonski Brod, Struga and Debar. On March 13, 2018, the Association for management of special waste streams organized a Conference on the topic "European experiences on the role of companies that manage special waste streams - now and in the future". Award winning game "Be the Super Hero"
The awarding of the prizes for "Be the Super Hero" is in progress, in which participated part of the Municipal Schools on the territory of the Municipality of Gazi Baba, the Municipality of Ohrid, the Municipality of Bitola, the Municipality of Kumanovo, the Municipality of Kriva Palanka, the Municipality of Rankovce, the Municipality of Debarca, Municipality Vasilevo and the Municipality of Bosilovo. 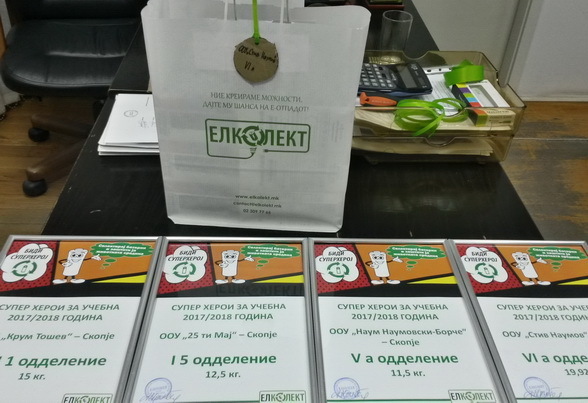 Awards from ELKOLEKT DOO - Skopje for the citizens with good ECO habits for proper release from their electric and electronic waste in the Municipalities of Strumica, Vasilevo, Bosilovo and Novo Selo. 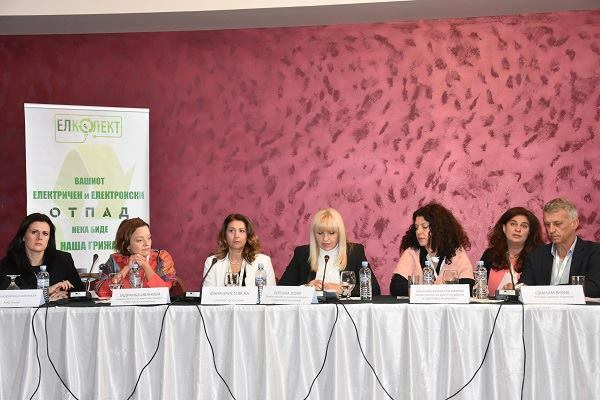 On October 25, 2017, at Hotel Continental, ELKOLEKT doo Skopje organized a conference on the topic "Challenges in the management of WEEE and OBA". 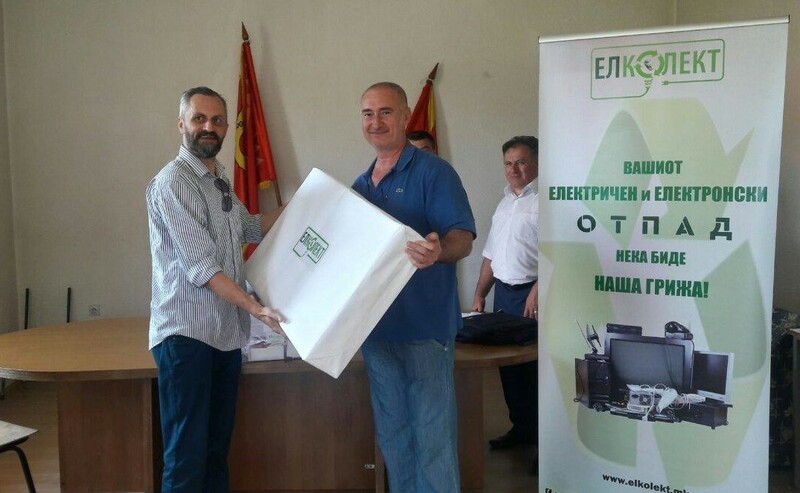 The company ELKOLEKT DOO - Skopje, awarded the conscientious citizens for the proper handling of electrical and electronic waste in the Municipality of Ohrid, where 5 prize coupons were the participants, who during the prize game "LET'S RECYCLE AND GET REWARD" left electrical and electronic waste in the Eco warehouses of ELKOLEKT DOO - Skopje. 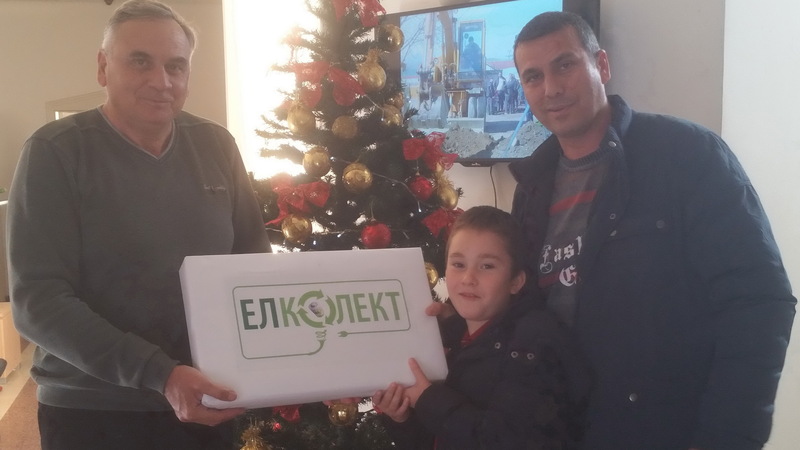 The company ELKOLEKT DOO - Skopje, awarded the conscientious citizens for the proper handling of electrical and electronic waste in the Municipality of Bitola, where 5 prize coupons were drawn for the participants, who during the prize game "LET'S RECYCLE AND GET AWARD" left electrical and electronic waste in the Eco warehouse of ELKOLEKT DOO - Skopje. The company ELKOLEKT doo Skopje organizes a conference titled "Challenges in the management of WEEE and WBA"
The goal of the conference is to inform key actors about the novelties in the legislation regarding the management of waste electrical and electronic equipment and waste batteries and accumulators, as well as to encourage discussion on the future development of the sector. 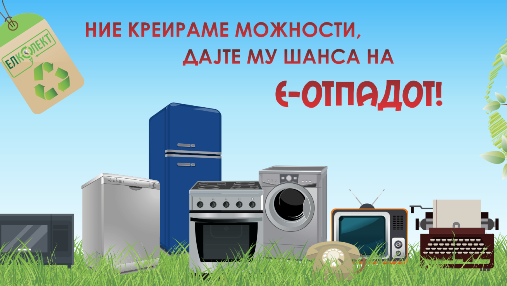 ELKOLEKT STARTED WITH A NEW CYCLE OF THE PRIZE GAME "LET'S RECYCLE AND GET REWARD"
Elkotlekt, announces the launch of another new, incentive cycle from the prize-winning game "Let's recycle and get reward" to clean the homes of electronic and electric waste. 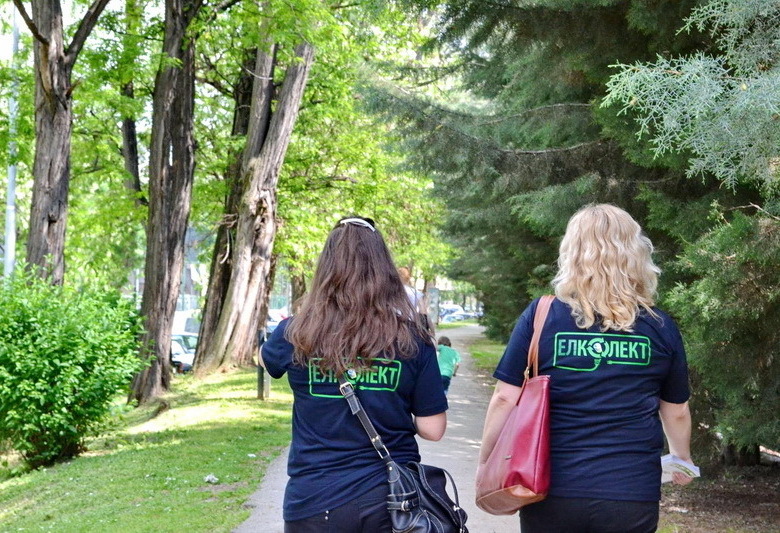 On September 19, 2017, at the mremises of the Institute for Lung Diseases Kozle, the company Elkolekt donated it's award as a company with the largest contribution to the environment protection for 2017 from the city of Skopje. 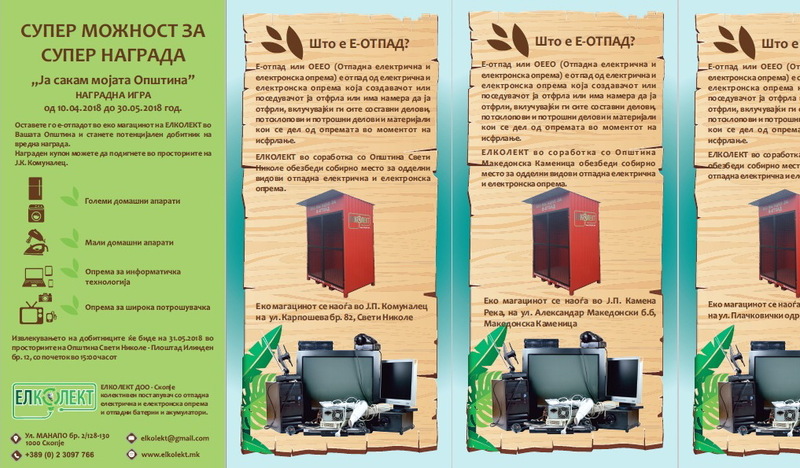 This traditional competition City of Skopje called on March 21 this year and the announcement lasted until May 16 this year as part of the manifestation" Days of Spring - Days of Ecology "
The company Elkolekt has awarded conscientious citizens for the proper treatment of electrical and electronic waste in the municipalities of Gazi Baba, Kumanovo, Kriva Palanka and Rankovce. 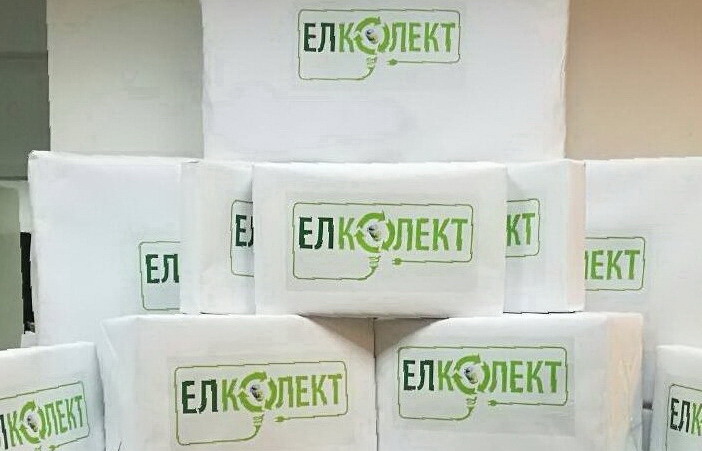 The company Elkolekt in cooperation with the municipalities on the territory of the Republic of Macedonia, where the recognizable red eco warehouses of Elkolekt has been installed, has already established a practice for rewarding the conscientious citizens responsible for the release of electrical and electronic waste, and in addition to preserving the living environment and human health. 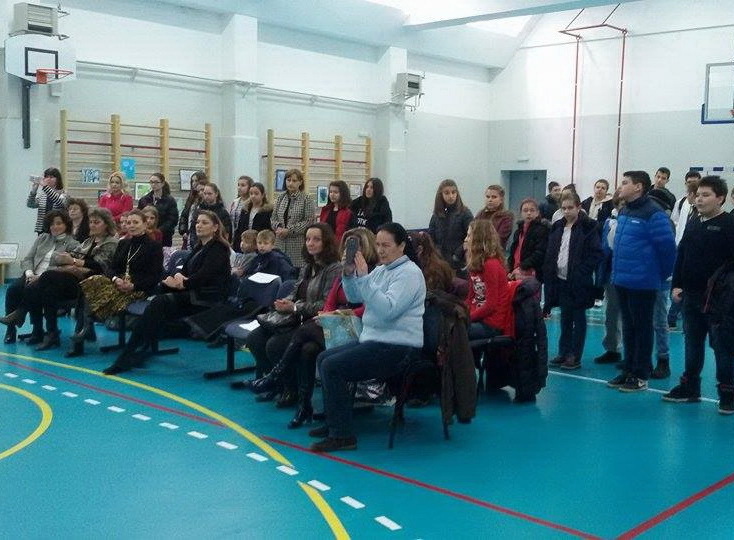 Од оваа пролет, заклучно со месец ноември, компанијата Елколект започна голема еко акција за собирање на отпадни батерии во 25 основни училишта низ 11 општини во Република Македонија. 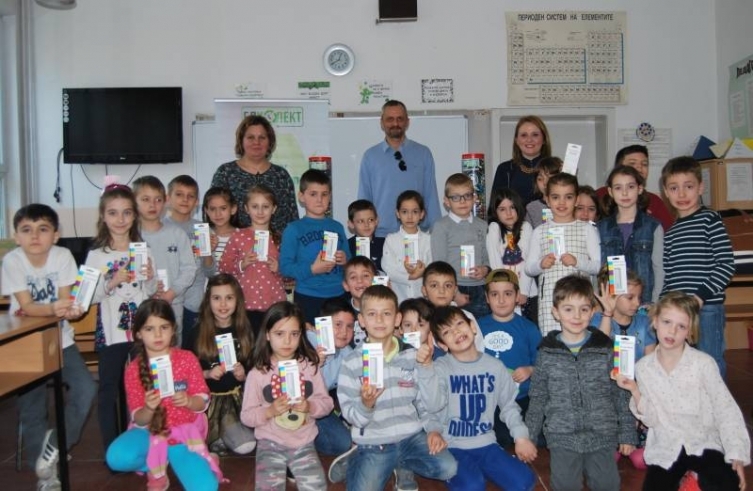 Today, March 21, 2017, in Skopje, the company Elkolekt marked the first spring day with a visit to the elementary school "Stiv Naumov" in the Skopje settlement Avtokomanda, in order to reward conscientious students for their self-initiative action for collecting waste batteries. 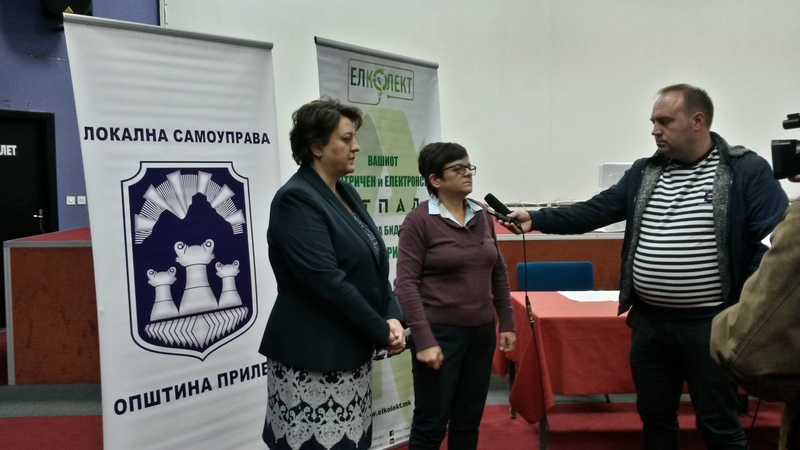 ELKOLEKT AND MUNICIPALITY KARPOSH WITH RESULTS FROM THE PRIZE GAME "LET'SRECYCE AND GET REWARD"
Fana Hristovska, managing director of Elkolekt, said that she was satisfied with the result of the winning game and the cooperation with the municipalities, pointing out that this type of action is of paramount importance for education and awareness raising among the citizens on the need for waste selection with an emphasis on special waste streams such as electronic and electrical waste. 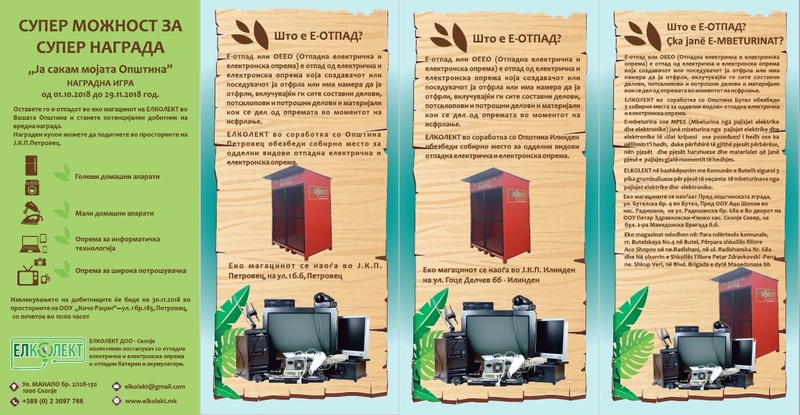 ELKOLEKT AND THE MUNICIPALITY OF GEVGELIJA WITH RESULTS FROM THE PRIZE GAME "LET'S RECYCLE AND GET REAWARD"
Cooperation with Elkolekt is at the highest level, we are sure that with this action not only citizens are released from their electrical and electronic waste, but they are also educated on how to preserve our environment. 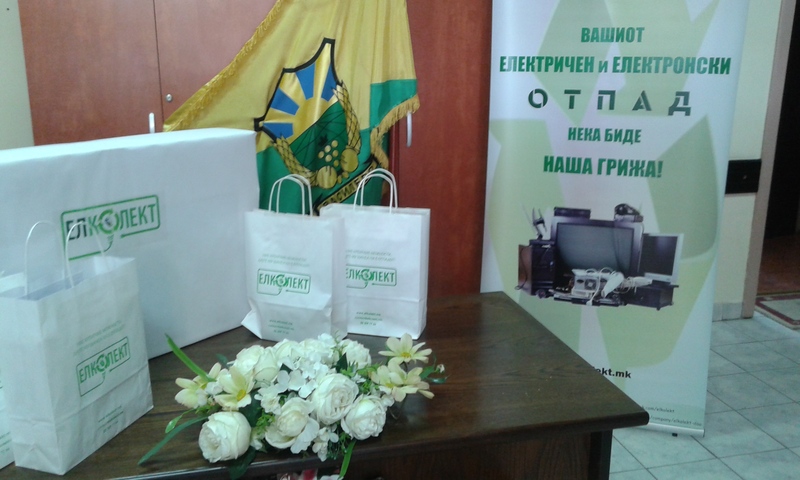 ELKOLEKT AND THE MUNICIPALITY OF BOGDANCI WITH RESULTS FROM THE PRIZE GAME "LET'S RECYCLE AND GET REWARD"
The great interest of the citizens and constructive cooperation with the Municipality with the support of the mayor gave excellent results that confirmed the success of this eco-action, but opened a space for even greater cooperation in favor of the health of the citizens and the preservation of the clean environment in the municipality of Bogdanci. 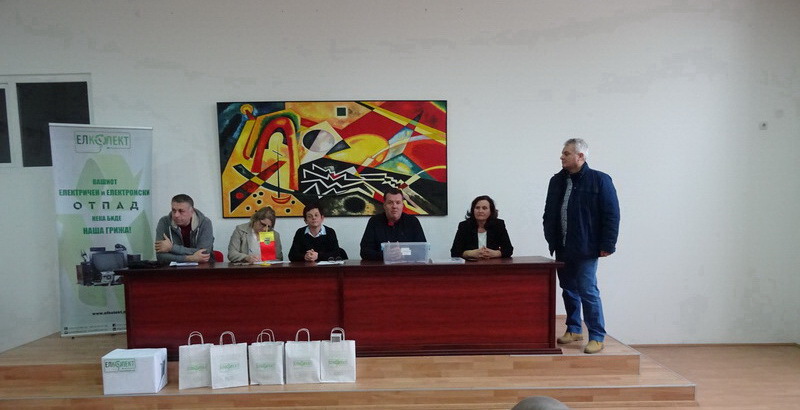 ELKOLEKT IN THE MUNICIPALITY GJORCE PETROV AWARDED THE PRIZES FROM THE PRIZE GAME "LET'S RECYCLE AND GET REWARD"
In a festive atmosphere, in front of media representatives, in the premises of the municipality of Gjorce Petrov, today, on December 29, 2016, awards were given to the winners who took part in the prize game "LET'S RECYCLE AND GET REWARD", organized by ELKOLEKT on the territory of the municipality. 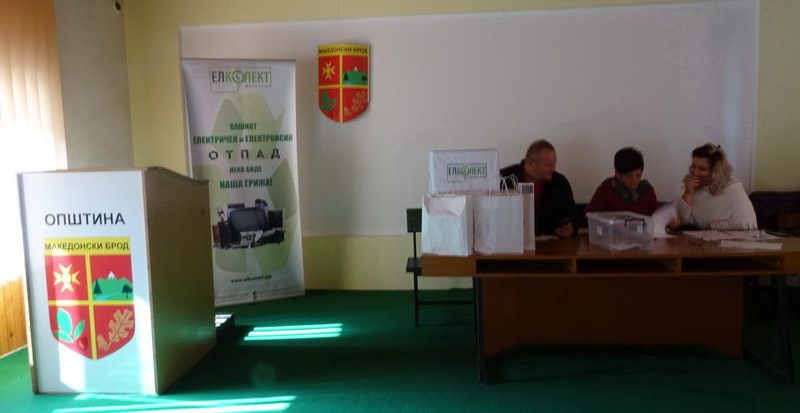 In the Incubator hall in the municipality of Berovo, on December 26, 2016, the three prizes were awarded by Elkotect, in front of a large auditorium. 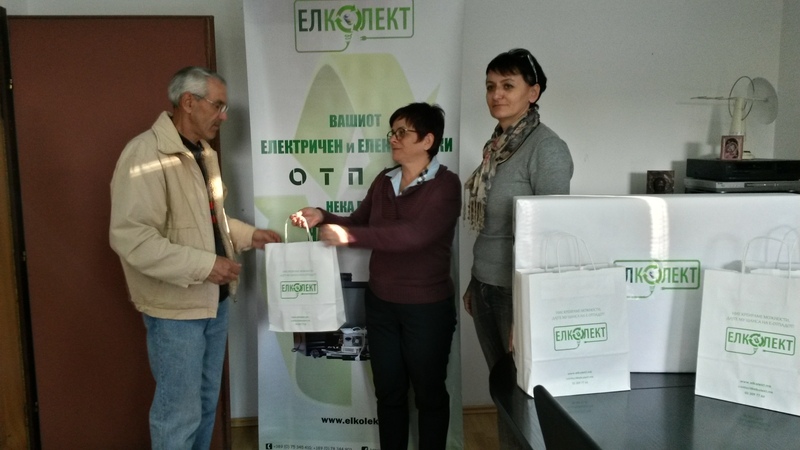 Elkolekt with the awarding caravan marked the successful end of the prize game "Let's recycle and get reward"
The 15 prize coupons were drawn, for the participants who left electrical and electronic waste in the eco warehouses of Elkolekt, in the municipalities of Gjorce Petrov, Karpos, Berovo, Gevgelija and Bogdanci during the prize game. 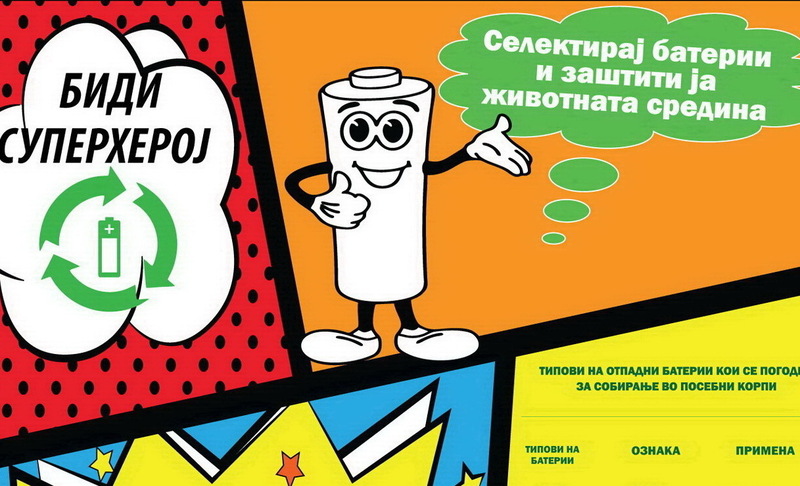 "LET'S RECYCLE AND GET REWARD" is the name of the new prize game organized by Elkolekt in cooperation with five municipalities on the territory of the Republic of Macedonia, from 28 November to 26 December 2016, in order to raise the public awareness about the need for collection and recycling of electrical and electronic waste. 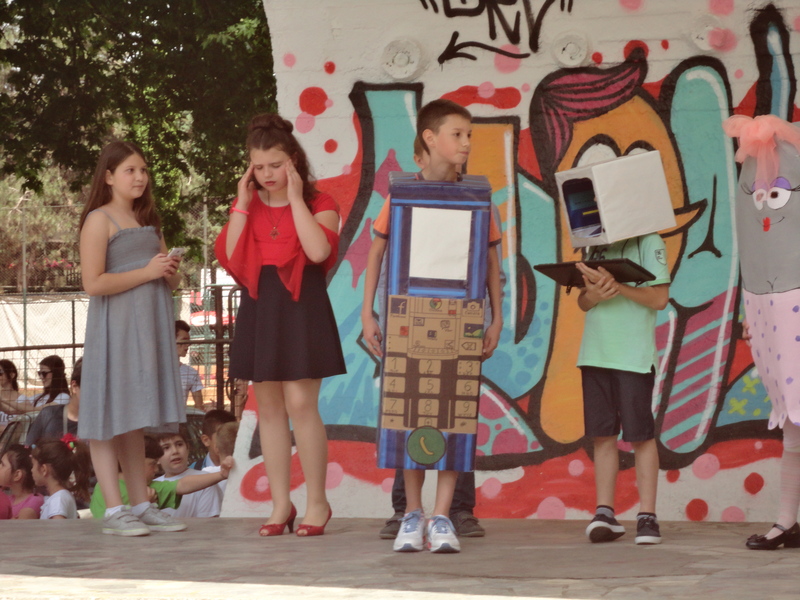 Eco-happening "Play, sing and recycle E-waste"
Playing, singing and recycling e-waste is the big eco happening that took place on May 29, 2016 at the City Park of "Shell", in order to promote the proper handling of electrical and electronic waste and raise public awareness about the need for selection and recycling of this type of waste. 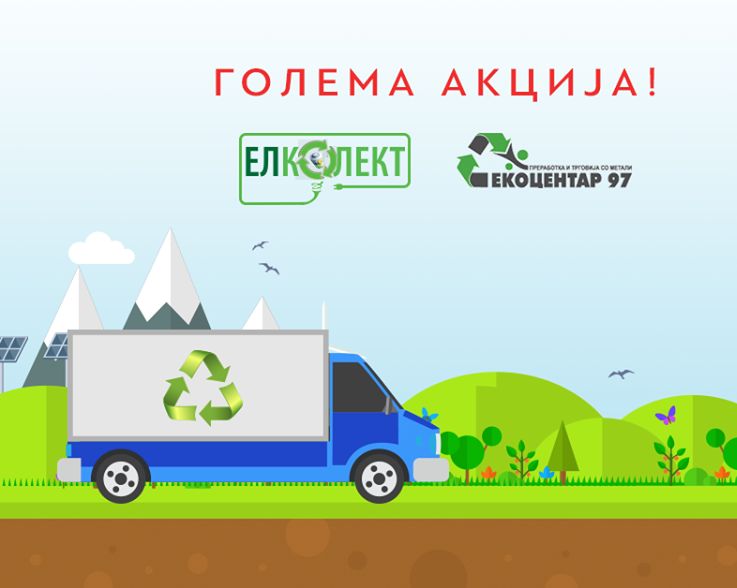 Elkolekt and Ekocentar97 organize a major action for collection of electrical and electronic waste in Skopje; which began on December 16th. Get rid of old and obsolet electrical and electronic devices with just one call. 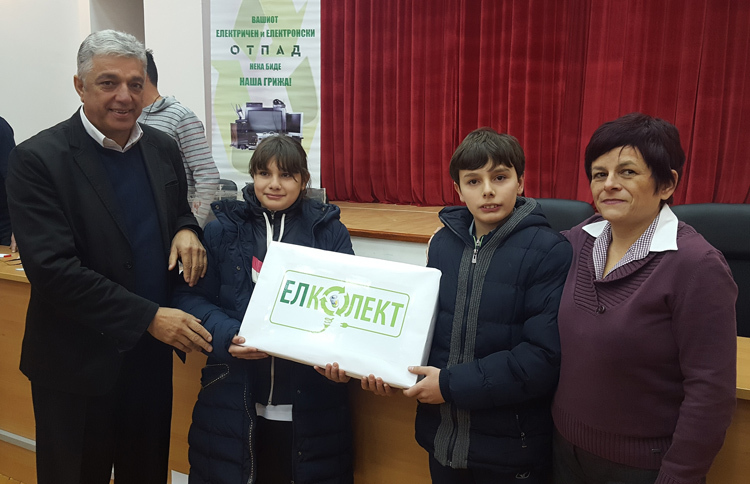 On 26.11.2015, the first educational event on the occasion of the start of the project activities within the project ""E-waste creates opportunities, supported by ELKOLEKT DOO, in the municipal elementary school Gotse Delchev-Skopje, Municipality Centar. 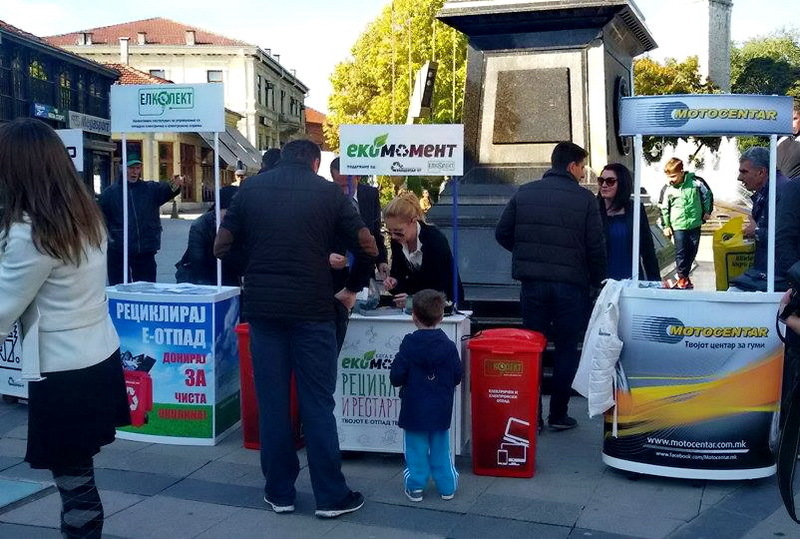 ELKOLEKT and Ekocentar 97 organized a three-day action in Bitola - "Recycle and Restart" for collecting electrical and electronic waste, in order to raise awareness among citizens about the handling of electrical and electronic waste. The event was supported by the companies AMC, Joki, Pan Evropa, Motocentar and the Municipality of Bitola. 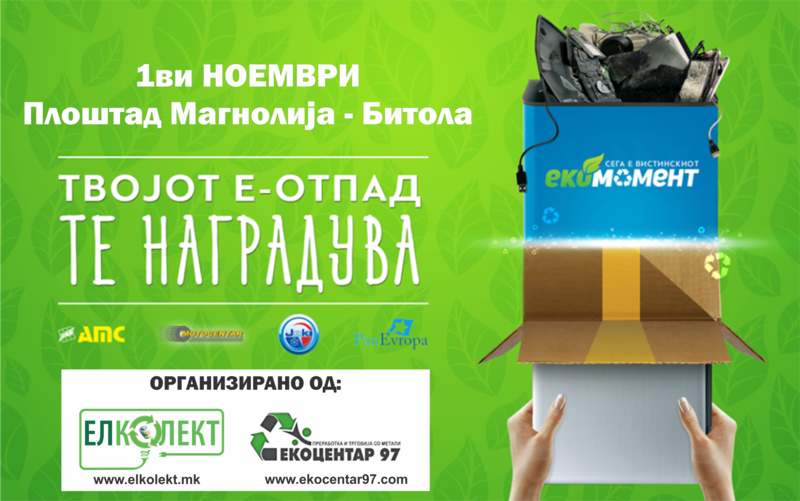 Elkolekt and Ekocentar97 organize a big action for collection of electrical and electronic waste that will be held on November 1st, Magnolia Square in Bitola! 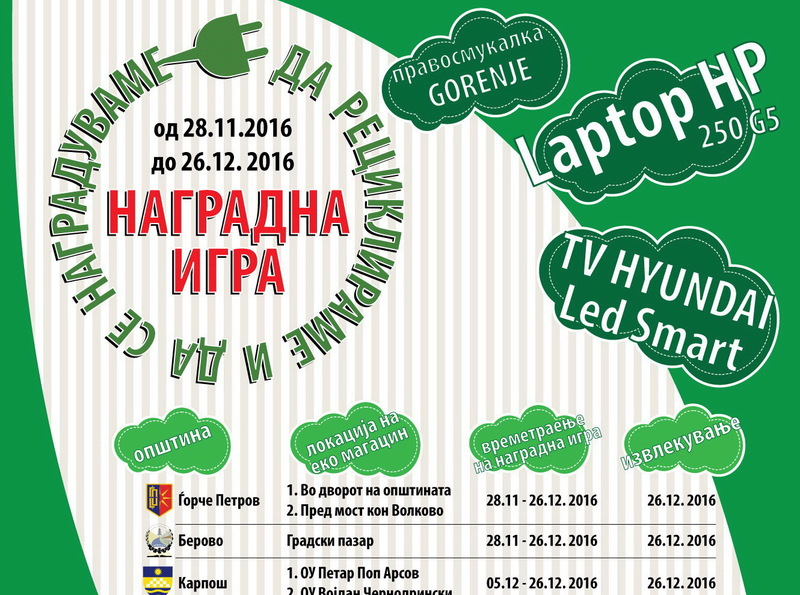 ELKOLEKT and Ekocentar 97 invite you to be part of the big action for collection of electrical and electronic waste that will be held from November 30th to November 1st at Magnolija Square in Bitola! 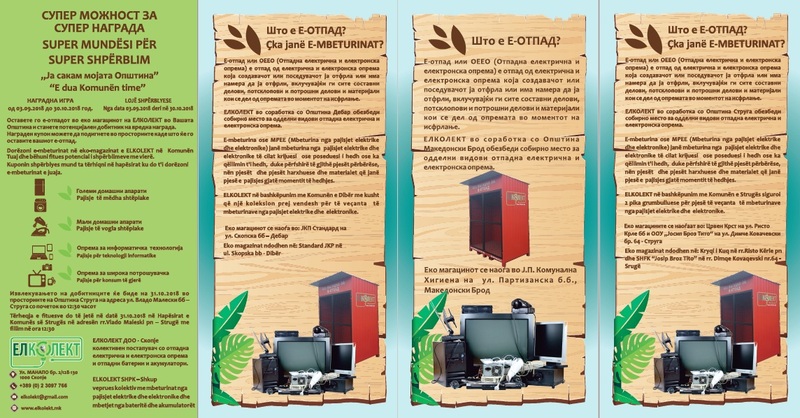 On 09.05.2015 in parallel with the promotion in the shopping center City Mall of Skopje, Elkolekt, through distribution of the brochure for EE equipment and waste from it, and direct communication with the citizens, realized promotional activities in the City Park in Skopje. 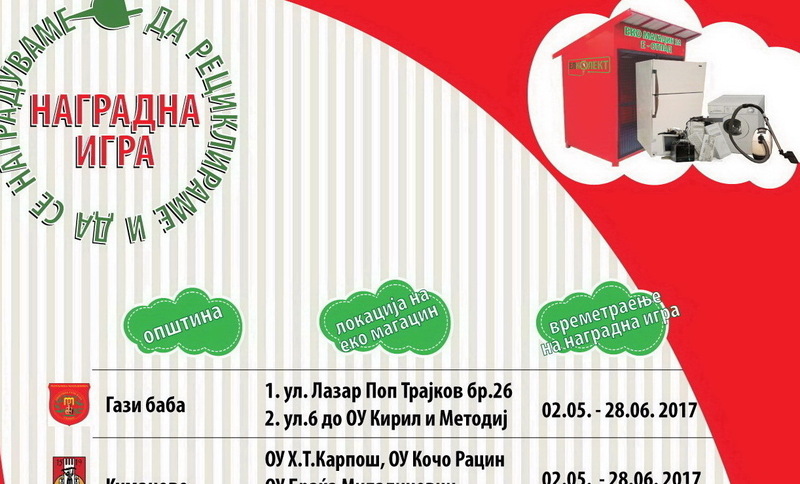 On 09.05.2015, in cooperation with AMC and Pan Evropa, numerous information brochures were distributed in the premises of the largest shopping mall in Macedonia, City Mall - Skopje, through direct communication with the citizens. 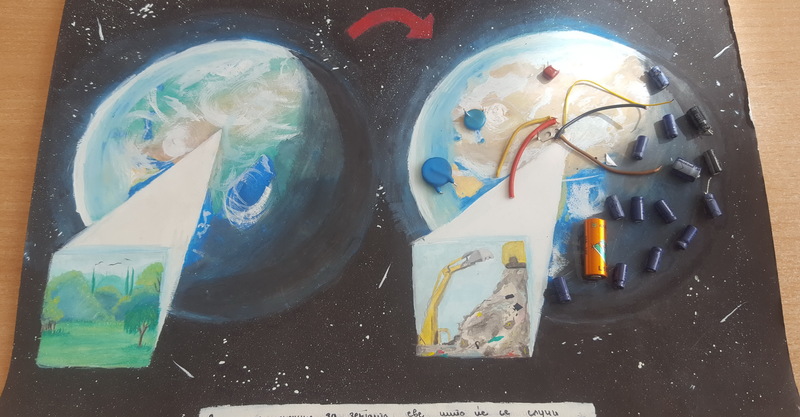 ELKOLEKT DOO started its campaign for raising environmental awareness of the youngest and introducing them to the concept of waste from electrical and electronic equipment. Fana Hristovska, the managing director of "Elkolekt" DOO, held a presentation on the topic "Benefits of Collective Handling of WEEE" as part of the EEA and WEEE Law - as a successful practical application? 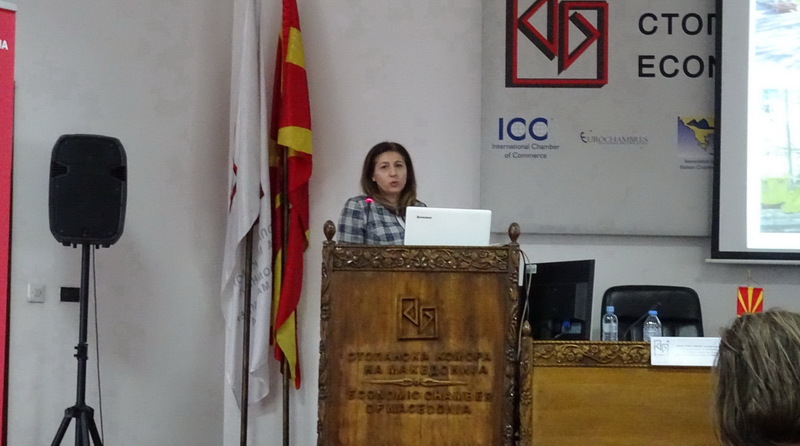 On May 6, 2015, the Elkolekt Managing Director, Fana Hristovska held a presentation on the topic "Benefits from Collective Handling of Waste Electrical and Electronic Equipment". 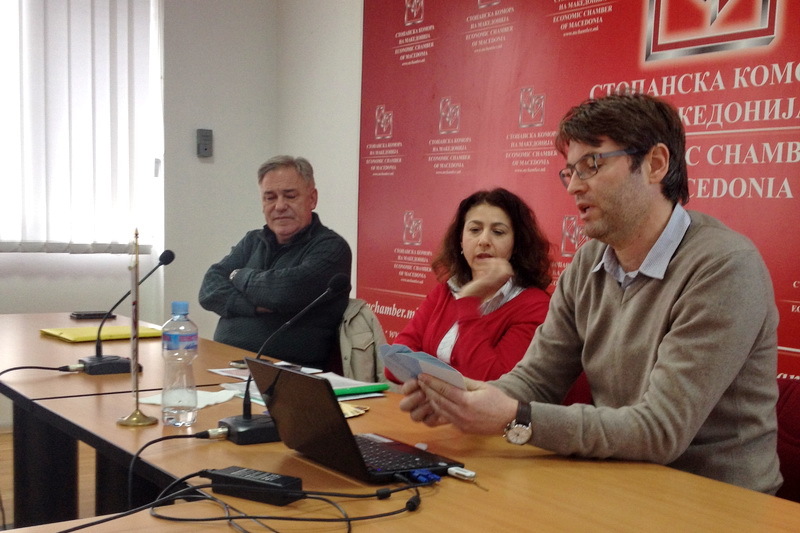 On 26.01.2015 in the premises of the Economic Chamber of Macedonia, the Company for Waste Management ELKOLEKT DOO Skopje, within the framework of the realization of its program goals, in order to fully and timely inform its members, organized training for the implementation of the Law on Management with electrical and electronic equipment and waste electrical and electronic equipment and the Law on management of batteries and accumulators and waste batteries and accumulators. 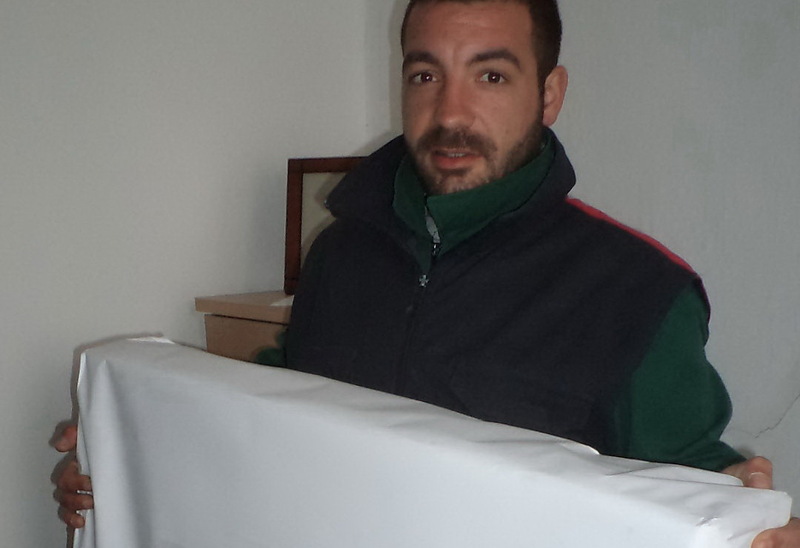 Elkolekt is licensed collective scheme for waste electric and electronic equipment (WEEE) with permit No. 11-461 / 6 issued on March 9, 2015 and for waste batteries and accumulators (WBA) with permit No. 11 5661/5, issued on November 4, 2015, both issued by the Ministry of environment and physical planning.